1. LeEco (formerly LeTV) is a Chinese technology company and one of the largest online video companies in China, founded in 2004. The headquarters is in Chaoyang District, Beijing. Founded in November 2004, it produces TV programs, distributes electricity, provides IPTV services, produces electric vehicles, various gadgets and smartphones. 2.LeEco is a constantly growing brand. The staff consists of about 5 thousand people, and the market capitalization of the company on the stock exchange is over $ 16 billion. 3. 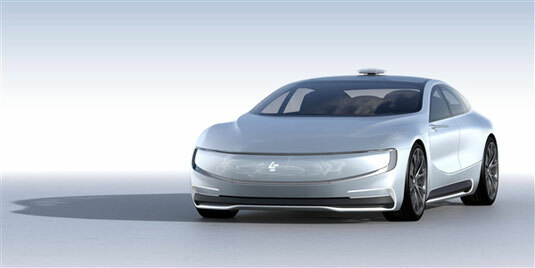 LeEco is not only smartphones and TV equipment, but also electric cars. For example, at the end of April this year the company announced its first LeSEE electric car, which will be launched in series production approximately in 2018. In addition, the Chinese giant invested in the project Faraday Future, based in California. 4. In China, the manufacturer monthly attracts more than 350 million users to the content services platform, which offers more than 10,000 television programs and 5,000 movies. Initially, the company began its activity as a streaming video service, but gradually the scope of the services is actively expanding (music, sports broadcasts, cloud storage, etc.) over the past five years. 5. On June 5, 2017, the Shanghai court arrested property worth $ 183 million, owned by the founder of LeEco Jia Yuetin, his wife and his three companions. The decision was made after LeEco did not pay interest on bank loans issued to it for the development of business in the production of smartphones. In July, the American manufacturer of TVs Vizio sued LeEco because of problems with payment of forfeit.